Looking for an alternative to spinach? Try this Swiss chard recipe for a change of pace; it makes a great accompaniment to any meal. You can use red, green, or rainbow chard in this recipe. 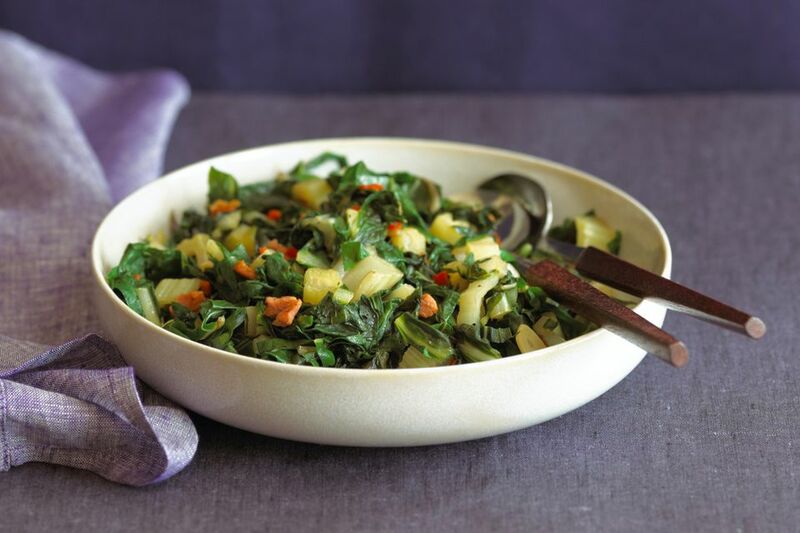 You can use red, green, or rainbow chard in this recipe. Wash chard and cut stems into 1/2-inch pieces. Cut leaves into 1-inch strips or chop coarsely. In a large kettle or Dutch oven, cook the bacon with onion until bacon is crisp and onion is lightly browned. Add the chard, Creole seasoning, and garlic powder to the bacon. Cover and cook over medium-low heat, stirring occasionally, until wilted and tender, about 5 minutes. Taste and season with salt and pepper, as needed. Serve with hot pepper sauce or a favorite vinaigrette.